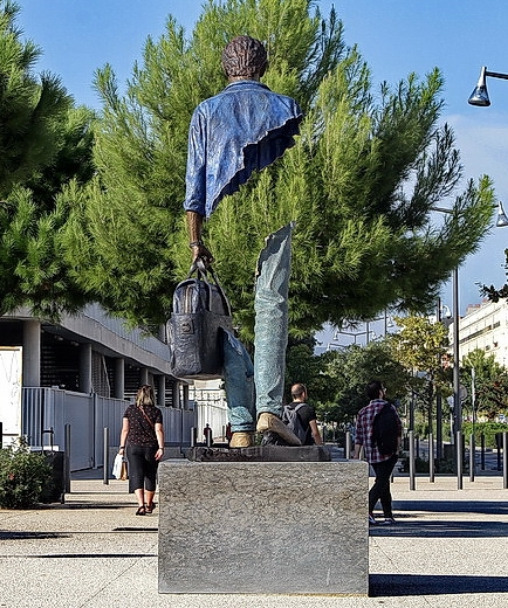 Bruno Catalano forever in Marseille with the monumental sculpture “Bleu de Chine” placed in proximity of the Marseille Cathedral (quai de la Tourette, 13002 Marseille). The work pays tribute to all the workers of Marseille’s port and to everyone who has restarted their lives on these benches. The sculpture was made at the Barthelemy art foundry in Valence (France) in July 2018.